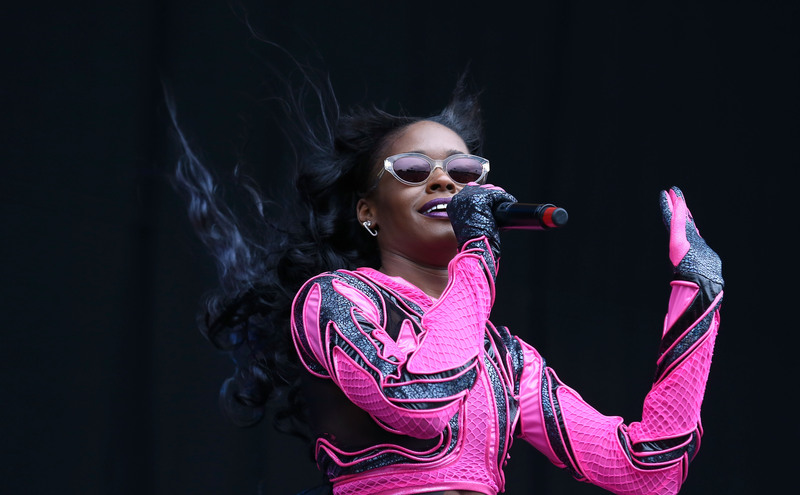 Judging by some newly released video footage, it looks like Azealia Banks is not a person you would want to be a mile high in the air with. Azealia Banks got upset at flight attendants on a plane and insulted one attendant using homophobic and obscene language. In the video posted by TMZ, the rapper is shown yelling at staff on a flight from New York to Los Angeles. The tape was reportedly captured by a passenger on the same plane and shows Banks repeatedly yelling, "Give me my bag!" When a pilot steps in to see what is going on, Banks complains about the attendant and calls him a "f*cking f*ggot." Not long after TMZ posted the video, Banks reportedly responded with a since-deleted tweet: "Ok so I get hit in the face by a man and no one cares. The only hear what I called the man who was blocking my exit." By this point, you may be confused, because the video does not show her being hit by anyone. For some backstory about a potential precursor to the argument, some witnesses cited by TMZ said Banks was trying to hurry off the plane at LAX when she was blocked by a few of her fellow passengers, one of whom put his hand out. Reportedly, she was unhappy about this and confronted said passenger, which apparently caused the flight attendant to intervene. And the fallout over the flight attendant intervening is the confrontation said to be caught on the videotape. Banks' Twitter page went into "protected" mode after her tweet, which meant that people who were not already following her could not see her tweets. She has since opened her page back up to the public eye. And in typical Banks fashion, she has a lot to say. Well, it looks like this may be the end of the saga — for now.